Halloween is a time for sweets, fun, and unbridled creativity! With all the costume possibilities, decoration ideas, and candy conglomerations, there’s no end to what you can do to light up the night. Get ready to make this year’s Halloween spookier, tastier, and better than ever with our ghoulish guide—conveniently broken into categories like snacks, games, and décor. These top devilish décor ideas will set the tone for a wild night. These little monsters are actually wine bottles! Before you put those empties in the recycling bin, give them one more moment of glory at your Halloween party. These are just set out as is, but we think you can take this craft a step further by putting candle sticks in the openings to create thematic mood lighting. Try out the designs in the image or design your wine bottles to look like vampires, zombies, werewolves or witches! Balloons are a cheap way to add a lot of cheer and fun to a party. These Halloween balloons take that a step further with just a little extra effort. Try adding some bat wings to a black balloon and grouping them by the door so they flap when guests enter. Or make the event happier and less frightening with a classic jack-o-lantern design. 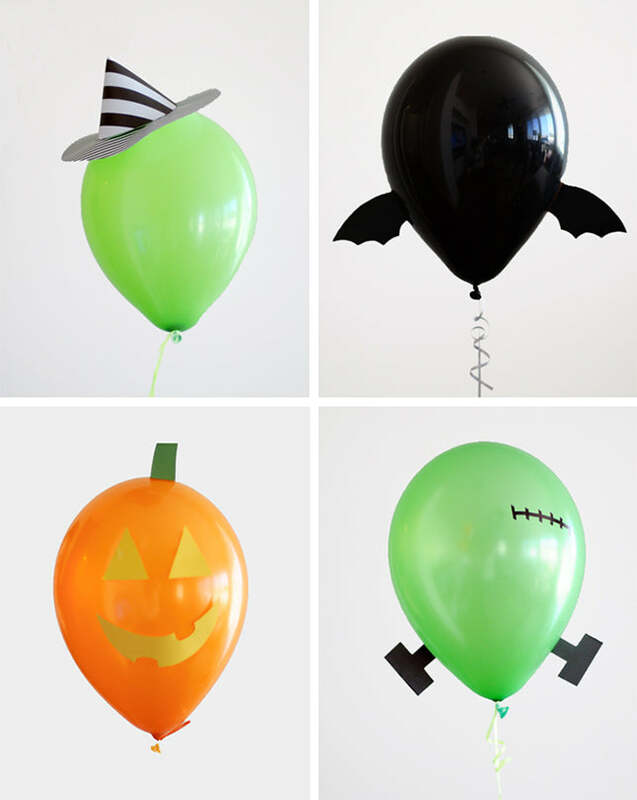 This is just one option and there are 13 more Halloween balloon ideas you can try too! Stairs are always adorned with holly and garland during other holidays, but often are overlooked for most of the rest of the year. Change that this Halloween by turning your staircase into a frightening focal point! 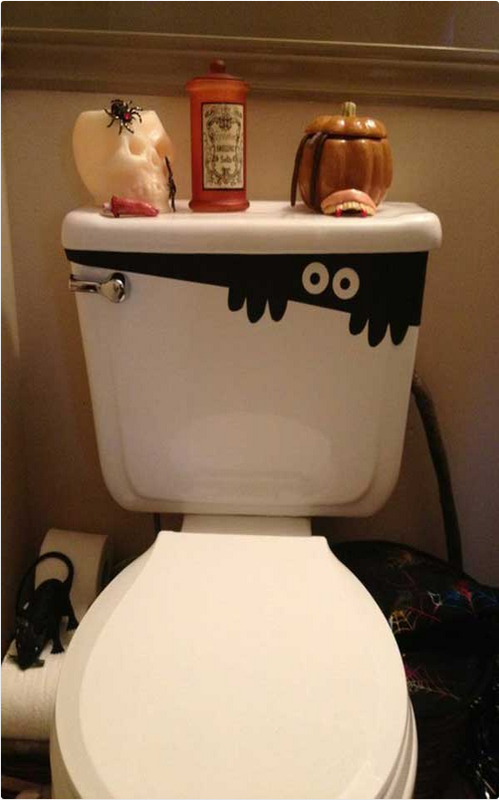 This particular craft features mice, but you can cut out spiders or any other creepy Halloween themed monster or animal to stick to the risers. If your staircase is in your front entryway, your trick-or-treaters will also be able to enjoy an extra scare! All it takes is some paper and tape and you’ll have a unique extra decoration that won’t go unnoticed. Just make sure the seat is down so that nobody misses it! Keep your eyes on your guests with this horrifying wreath! Using ping pong balls and googlie eyes, this is a seriously cheap and inventive craft that works inside your home or on your front door. We do recommend putting it on a door rather than a wall since the motion will cause the eyes will move! You’ll have to “see” it to believe how fun and creepy this design is! Give your guests something to do while they mingle with some of these top Halloween party game ideas. Break out the candy corn and get ready for a crafty take on a classic carnival game. 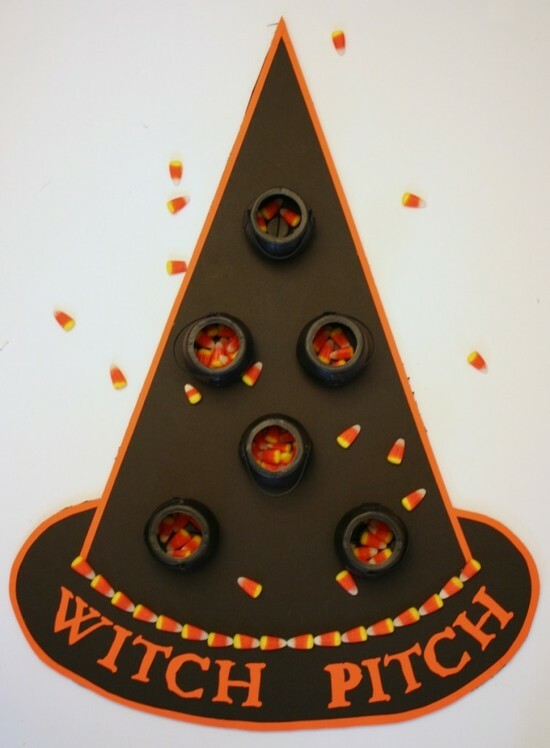 With some mini plastic cauldrons and heavy card stock, you can create a giant witch’s hat and target for your guests to hurl candy corn at. Depending on how old they are, you can set up certain distances for everyone to toss their candy corn from. Whoever wins can take the bucket of candy corn with them or be treated to another treat if you feel so inclined. Not all Halloween games have to be scary. This pumpkin toss game is a perfect solution to keeping with the spirit of Halloween without giving any of your guests bad dreams. You can use any containers you want for the target, but using empty apple buckets adds an extra bit of charm. 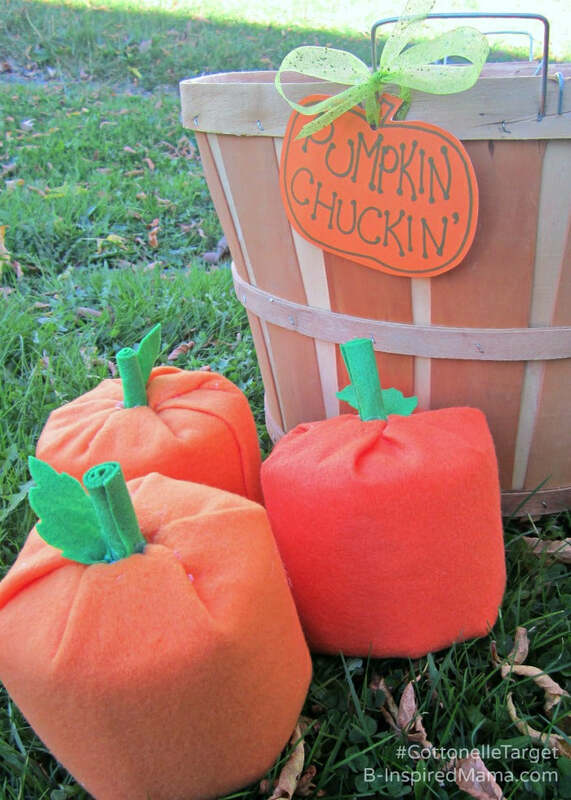 Then, you can follow the directions to make the pumpkin-shaped bean bags, or just buy pre-made orange bean bags and decorate them with a green felt stalk. Even draw some jack-o-lantern faces onto these little bean bags for more personality. A party isn’t complete without a game or two. By using household products, a black marker, and a hollowed out pumpkin with three finger holes carved into it, you’ll have a great and novel Halloween game! Here’s a tip: If you want to make it a bit easier to bowl these ghost rolls over, use paper towels! They’ll tip over with less force and they’ll be ready for you to use if there is a spill. Transform your guests into the walking dead! 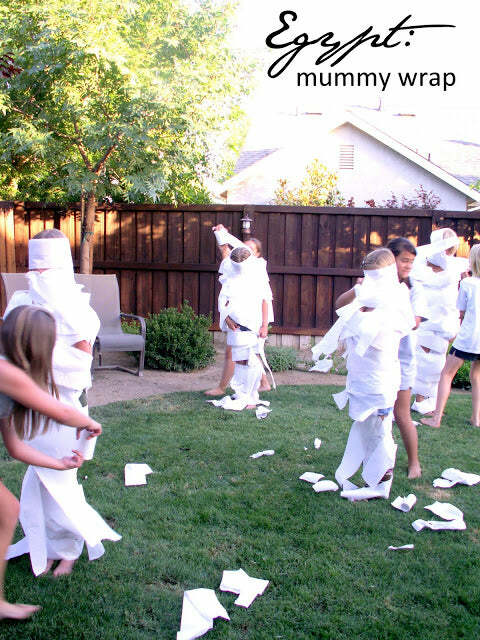 This classic mummy wrap competition is a crowd-pleaser and just takes some wrapping skills and fun volunteers. The final product makes for a great photo op and you can even set aside a creepy prize for the best mummy and the mummy that was finished the fastest. 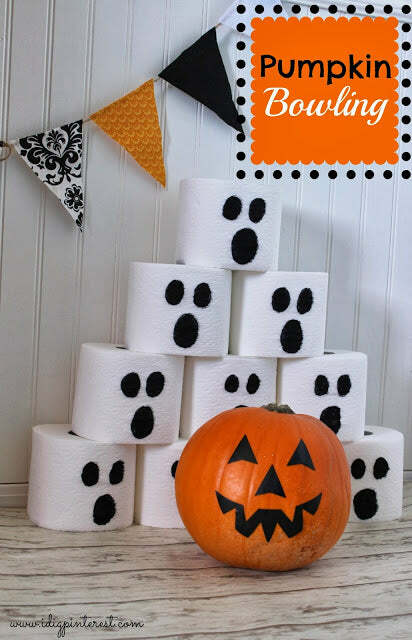 Plus, if you use toilet paper rolls for pumpkin boo-ling, you can use them up with this mummy wrap contest! No party is complete without a snack table overflowing with goodies to munch on. Ensure that your guests will be crowding around your Halloween treat station all night long with these recipes. Your guests are sure to work up a werewolf’s appetite with all of the fun games you have planned, so make sure you’re ready to feed them all with this crawly dip! 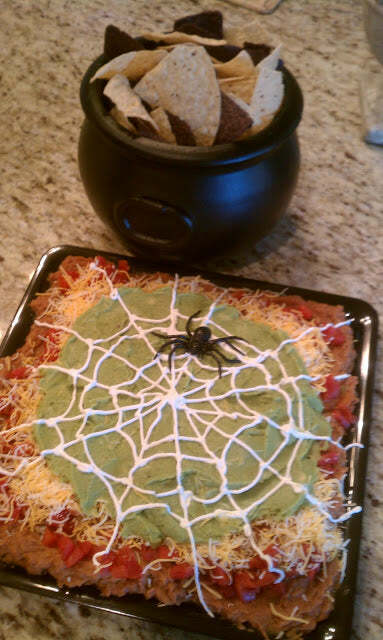 This one featured here is a 7-layer dip, but you can give your own dip a “spin” or try this spider web design idea on a cake. Ding, dong the witch is dead! 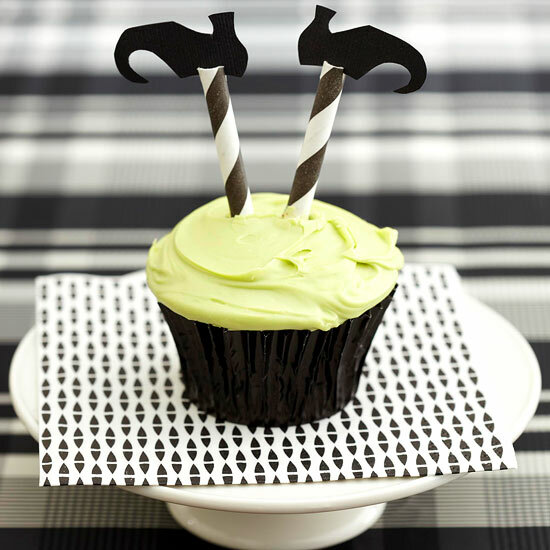 Bring her back to life for the evening when you whip up these wicked witch cupcakes. We suggest trying chocolate cupcake mix and green frosting, but you’re welcome to customize this treat any way you wish. For every recipe, all you’ll need is striped straws and tiny cut-out shoes. It’s a sure way to cast a spell over the whole party with your ingenuity and magical baking skills. Don’t forget to invite these night crawlers to your Halloween party. While they may look lifelike and give you the heebie jeebies, they’re actually made from Jell-O poured into straws! So clever. 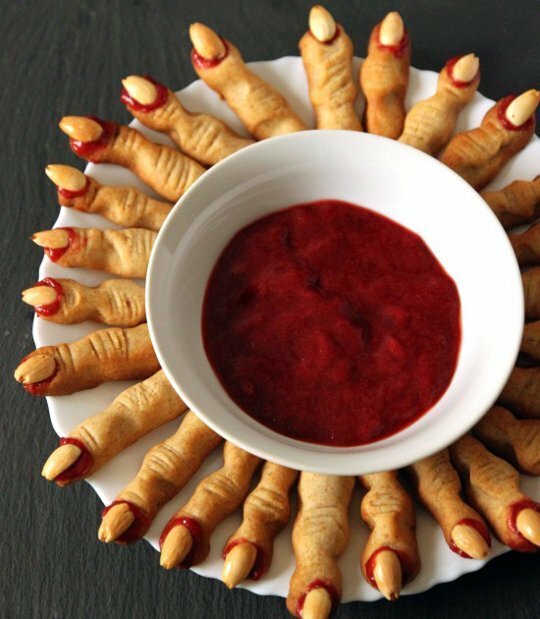 Gather your kids around the kitchen table and give them all a creepy culinary lesson they’re sure to love. 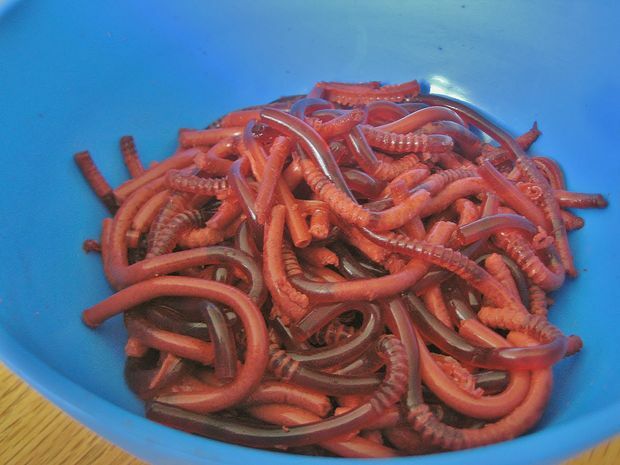 Gummy worms are also a good alternative, but maybe not as realistic as these. Ew! These witch finger bread sticks are almost too lifelike to eat! But if you close your eyes and take a bite, their grotesque appearance will fade away into deliciousness. That’s because these bread sticks have all the yummy ingredients of an Italian restaurant—they’re just made with a “craftier” approach. 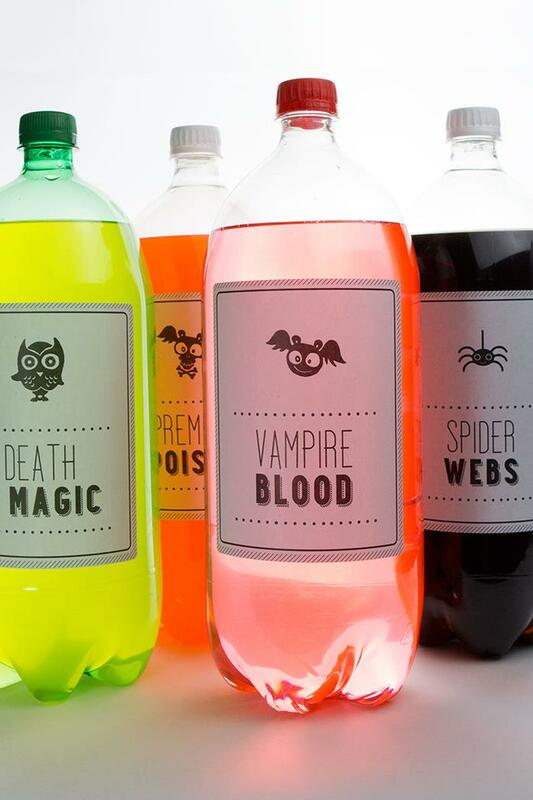 Wash down your terrifying treats with super drink recipes and decoration ideas. If you’re down to the wire and still don’t have time to make a ton of Halloween themed decorations and treats, these festive drink labels are your way out. You can print some online or make your own. It’s one of the easier ways to set the haunted mood without going over the top with man hours. Make this an adult beverage pumpkin keg or fill it with punch for a kid-friendly Halloween bash. 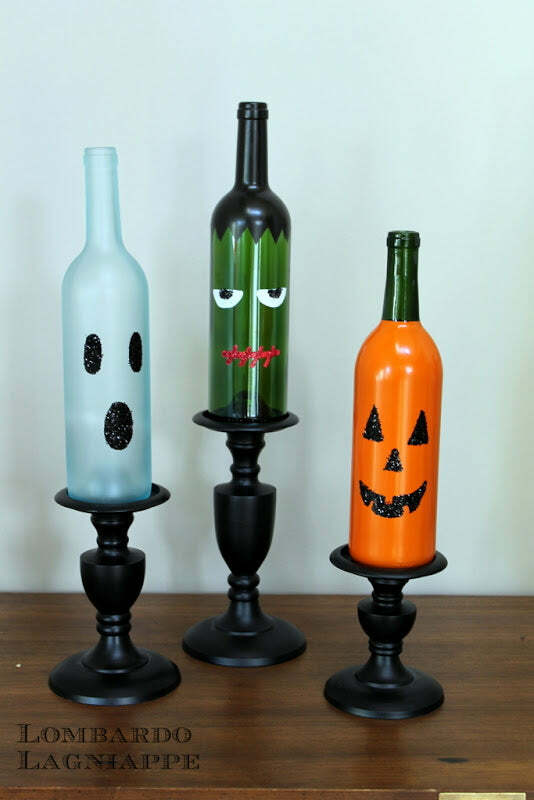 It looks great set out on a spookier table or settled on your bar cart. Just make sure you clean it out well and line it with some plastic wrap to avoid too much of a pumpkin flavor! Don’t send your guests home “empty-handed.” Try this haunting party favor to chill them to the bone with your great hosting skills. Why go with a regular mixing bowl to dispense trick-or-treats or typical cellophane bags to wrap up goodie bags? With this top 20 list of Halloween bags, bowls, and containers, you’ll never go back to boring again. 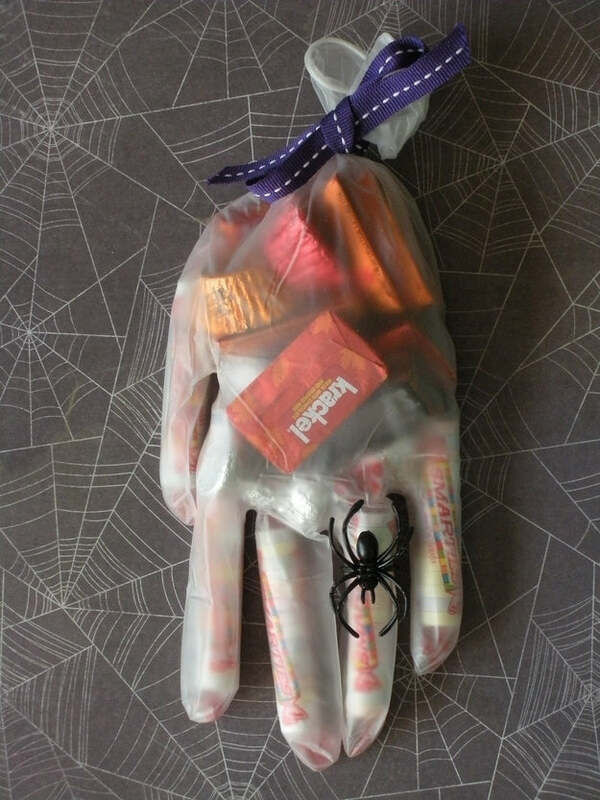 Zombi-fy your party favors by stuffing rubber gloves with Smarties and other candies of choice. The spider ring and ribbon are a nice touch, but you can customize this any way you please. There are also plenty of other ideas too so if bats, spider webs, or mummies are more your style, you’ll find ideas there for those too.